Rarely, Liam and I don’t travel together. But it happens. One of my best friends from the Netherlands, Josephine, is a flight attendant and whenever she’s flying towards this side of the globe we do our very very best to meet up. The Internet is a good way to keep in touch, but it can never beat the real thing. To be able to make the most out of our very short time together, I decided to leave a day earlier. And something very awesome happened, I booked a stay at a rather unconventional hostel. I was going to be sleeping in a capsule pod! I love trying new things, I’m pretty interested in the latest technical developments and I love to be able to properly close off after a long day of traveling. The capsule pod seemed the solution! For my experience on this special accommodation, the good and the could be better continue to read! Others also liked 5 wonderful & wanderlust travel women and read more about Josephine there! What is a capsule pod ho(s)tel? 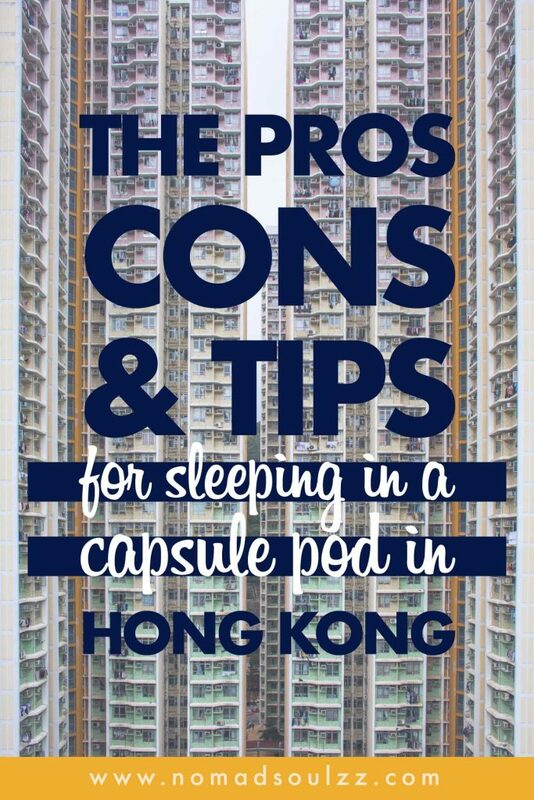 In a capsule hotel, you’ll find a large number of extremely small “rooms” (capsules) intended to provide cheap, basic overnight accommodation for guests who do not require or who cannot afford the services offered by more conventional hotels. 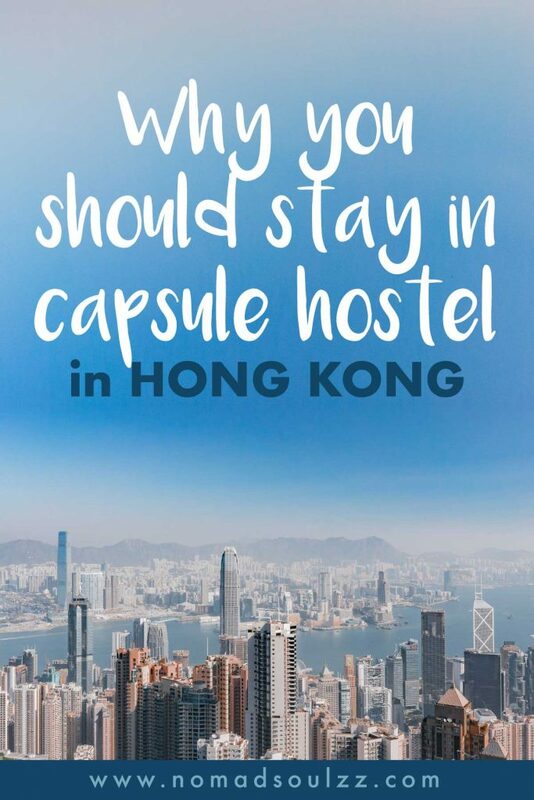 The capsule-pod-hostel I went to, L’étoile de Mer, located just off causeway bay was pretty easy to find (in comparison with the gazillion hostels in the Tsim Tsa Shui area). I will be reviewing this hostel in the article so I think it’s only fair I mention them! 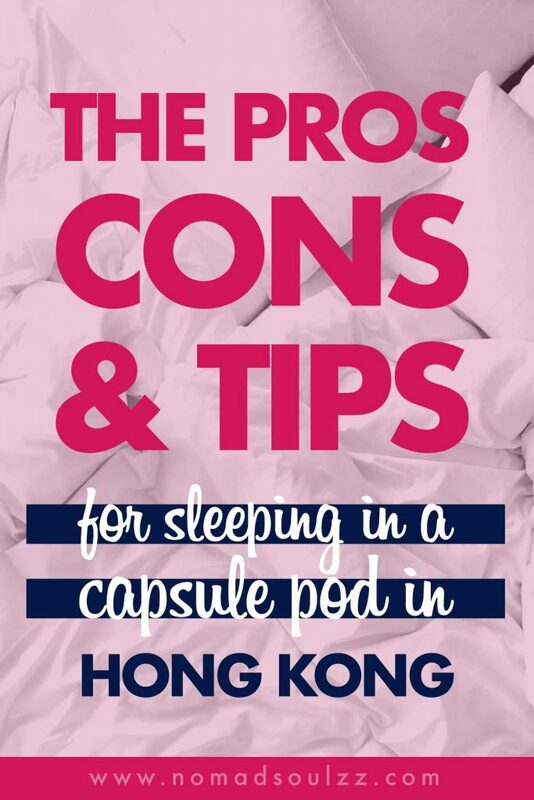 I was very excited to stay at a capsule hostel and I didn’t book the place with the thought I would review it, but while I was having breakfast after my first pod-experience I thought it would be fun, interesting and valuable. For the record, I’ve been to Hong Kong half a dozen times by now. Living in mainland China requires plenty of visa runs and HK is the place to go. We’ve stayed at several hostels and it’s safe to say that I know what to expect accommodation-wise from this buzzing city. 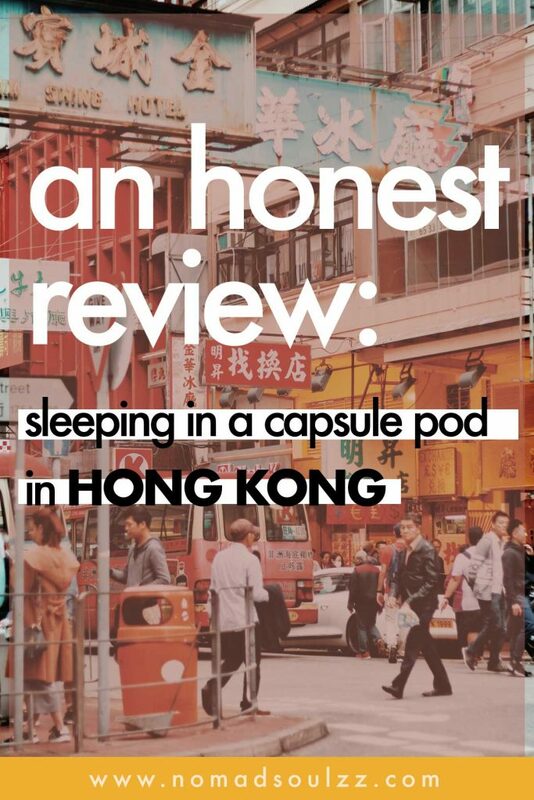 First things first, Hong Kong ain’t cheap. A regular hostel, a mixed dorm 8 beds in room kind of hostel will cost you anything between $8 and $25 dollars per night. Normally, the cheaper, the more ‘dirty’ you can expect… Not even taking the noise into consideration. If you are looking for a private room (for one or two), you’re lucky to find a reasonable, very very small room (walls on all four sides of the bed and a shower on top of the toilet!) for around $30 per night, but prices easily go up to $90/100 for regular rooms. 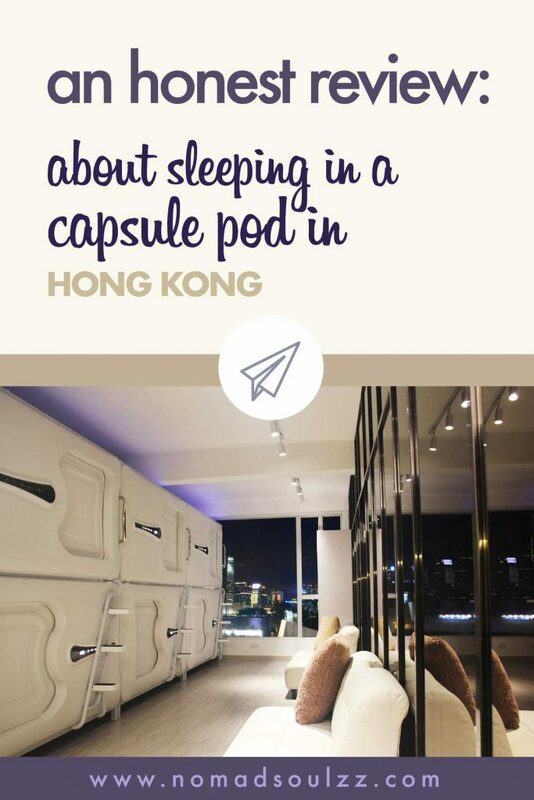 I booked my capsule through booking.com (if you use that link you and I both will receive a discount on our booking!). I paid an equivalent of around $28/30 for one night stay. Check-in was at 3 pm, check-out at 11 pm. 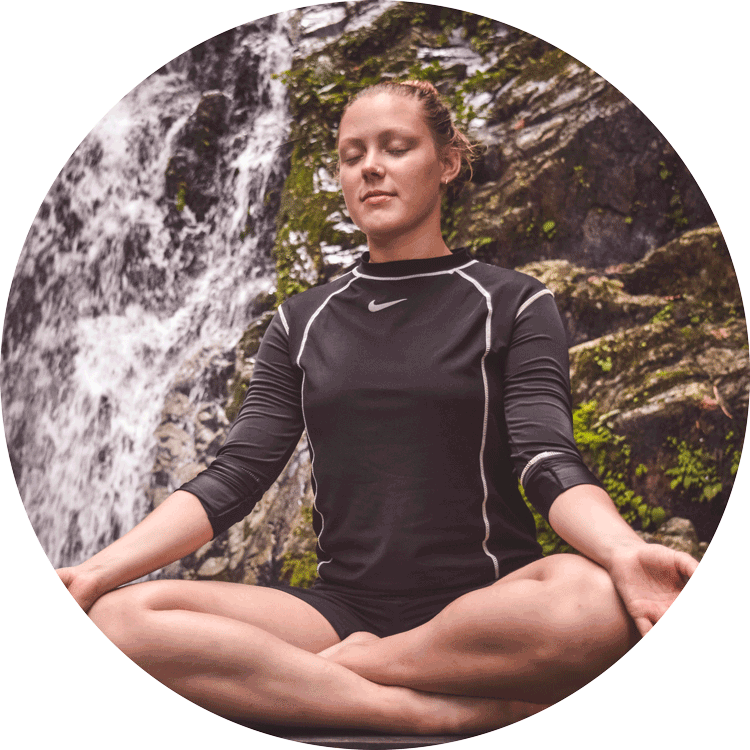 Enriching free activities you can do anywhere! 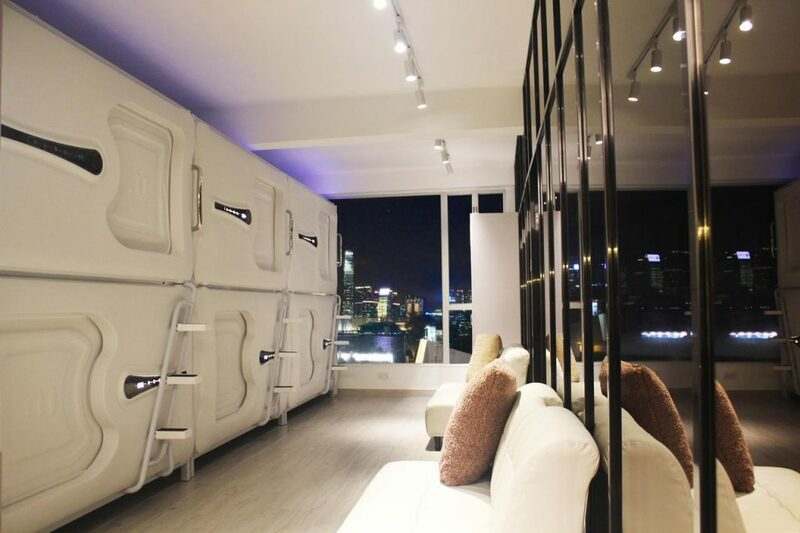 If you’ve never been to China or Japan before, staying at a capsule hotel is quite the futuristic experience. 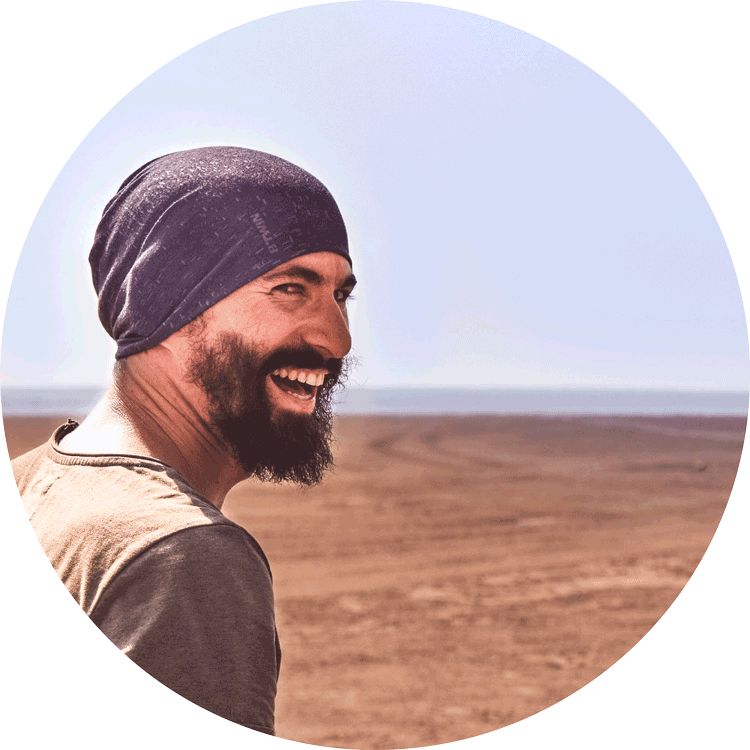 Everything is ‘automated’ and tech-driven, but fortunately, here there is also one staff member at the hostel who can assist if you’ve got any problems. In an email, you receive all the instructions on how to get into the building, take the elevator and a guide on how you need to do a self-check-in! Similar to the self-check-in services at airports, you have to check in at a machine. It’s pretty straightforward. Provide your booking reference, confirm some info, scan your passport and before you know it the machine pops out a keycard and tells you in which pod you’ll be sleeping. With a QR-code provided in the mail earlier, you help yourself into the lobby of the hostel. The fun starts! When I walk in I instantly smiled because It’s super clean and quiet. The lady on site shows me my capsule and I start figuring it all out (love this). The room I’m staying in has 8 pods, 4 bunk-bed-style-units. The pod is the size of a one-person bed, and about a meter high. Inside the pod, you find a panel with a couple of power outlets, two USB outlets, a mirror, touch switches for reading, general and mirror lighting. Also, you can regulate in the inside air-conditioning. There is a small digital screen which has the time and temperature displayed. There is also a small table you can use for your laptop, reading, eating or anything else. This can be folded conveniently and clicks on the wall. Oh, and they’ve got a super bathroom! Compact as well (no room really to lay down your stuff, so you’ll have to be creative! ), but it’s clean, HAS A JAPANESE TOILET, and a magnificent shower. A Japanese toilet is an experience you want to try, it has a heated seat, you can ‘spray’ clean your bottom from the front and back, and even dry it! Great! And if I’m honest, much better than I expected! When I wanted to go to sleep I still heard some noise outside and was afraid that it might keep me awake, but it didn’t last long. Besides a couple of blue lights from the panel, the capsule gets very dark which is great for a proper rest. (Regardless of the time of the day). The mattress was soft and I wasn’t disturbed during the night (like in regular hostels where you notice other guests coming in and out). Pro: more private than a conventional hostel (but therefore also less social than a conventional hostel). Con: Only one bathroom for all pods, you might have to wait if you want a shower or need to go to the toilet. Tip: Use the locker for your bigger luggage, and use the hook inside the pod to hang your bag to create more leg room. Pro: extremely clean! Good quality mattress and bathroom facilities. Tip: Use a pillow to block off the blue lights that stays switched on. Pro: even though you are staying in a hostel it feels like a private room. Tip: Open the door of your pod to let the general room aircon cool it down properly and fast. Then you can switch off the capsule-aircon (and therefore the sound of the fan). Pro: the quality/price ratio for an expensive city like Hong Kong is great! Absolutely! If you are ever traveling alone and you have the opportunity to stay in a capsule pod ho(s)tel… Then I definitely recommend the experience! Add it to your bucket list! Being an HSP’er I know how challenging it can be (mentally) to stay in a shared room, this was peanuts! It’s fun, it’s simple and a great solution for a good quality accommodation yet not having to pay spaced out prices. I’ll do my best to get back to as soon as possible!